Home > Rebates > Orlando Florida Trip Sweepstakes + Food Lion Money Maker!! Orlando Florida Trip Sweepstakes + Food Lion Money Maker!! Starting today Ibotta mobile coupons work at Food Lion! The fun thing is that you don’t even have to submit a receipt. Instead as long as your link your Food Lion MVP card in the app, your offers will be redeemed as you check out!! It will still take about 24 hours for the money to appear in your ibotta account, but at least it’s a trouble free way to earn! This is the first store in the South to be a instant redemption store for ibotta! 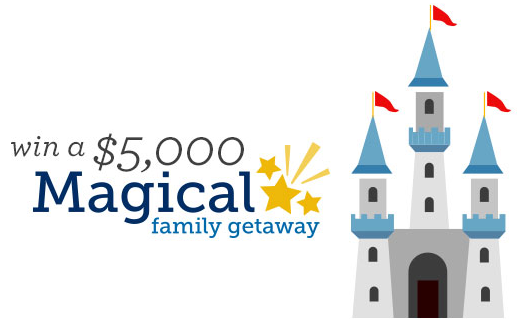 To celebrate the big news, ibotta and Food Lion are giving away $5,000 to send one winner on a “Magical Family Getaway” to Orlando, Florida. In the end you made $1.94 to buy everything!! Find all of Ibotta mobile coupons and more in the coupon database.